The Philippines is a series of large islands with smaller islands nearby that sits near the equator. A tropical location, the Philippines has hot, humid weather and lots of rain that helps support a wide range of plants and flowers. Whether native or a recent or historical import, many flowering plants thrive in the Philippines. 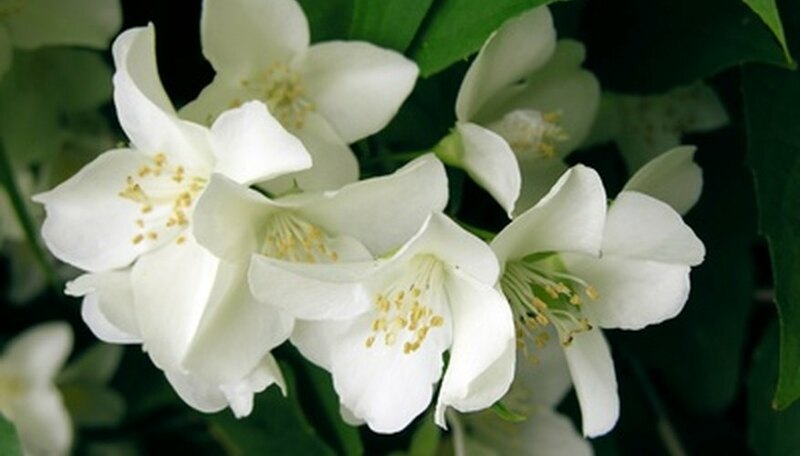 Jasmine is a very fragrant white flower that grows as a vine or as a shrub, depending on the variety. Many types of jasmine release their fragrance at night. Because of that, some types of jasmine are called “night jasmine.” Blooming in the spring or summer, jasmine can grow as tall as 15 feet tall. Jasmine is used in cosmetics and as a food flavoring. Arabian jasmine is the national flower of the Philippines. The Philippines is famous for its orchids. With between 800 and 1,000 species of orchids, the Philippines has one of the most diverse populations of orchids in the world. Filipino orchids grow in a variety of locations, ranging from attached to tree branches and trunks to smaller orchids that live in the moist underbrush of the Philippine tropical rain forest. Some orchids in the Philippines grow in very limited ranges, such as part of a small island. As such, deforestation and human population encroachment is threatening some species of orchid. Ylang ylang is used in perfumes, cosmetics and in traditional Chinese medicine. Ylang ylang trees grow to between 30 and 60 feet. The flowers of this tree grow in clusters of 4 through 12 flowers. Ylang ylang flowers have six petals that can be as long as 2 ½ inches. The flowers are most fragrant when they are green, but turn yellow or deep yellowish brown as they mature. The 8-inch leaves of this tree are deep glossy green. Once the plant has flowered, it turns into a 1-inch-long grouping of 6 to 12 greenish-black fruitlets that look very much like grapes. Each fruitlet contains a flat, brown seed. The ylang ylang in the Philippines is grown primarily for its oil. Ylang ylang oil has been produced in the Philippines since the early 1900s.